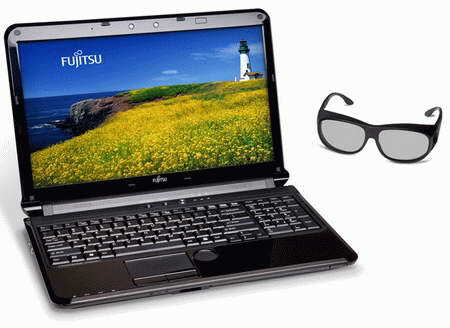 Fujitsu started shipping of their all new 3D notebook, named Fujitsu LifeBook AH572.The new Fujitsu LifeBook AH572 3D laptop is based on Intel’s Sandy Bridge platform. New Fujitsu LifeBook AH572 3D laptop equips a 15.6-inch display with 1366 x 768 pixel resolution, 3D XPOL filter and 400nits brightness.The LifeBook AH572 3D laptop comes powered with a 2.3GHz Intel Core i5-2410M processor and houses an integrated Intel HD 3000 graphics card.The 3D Fujitsu laptop packs 4GB DDR3 RAM and 500GB HDD as storage option. All new Fujitsu LifeBook AH572 3D laptop Features dual 1.3MP cameras for capturing 3D videos and pictures, spill-resistant keyboard with 10-key keypad, 3D Blu-ray drive, Gigabit Ethernet LAN, 802.11 a/b/g/n WiFi, Bluetooth, Intel Wireless Display (WiDi) technology, two USB 3.0 ports, three USB 2.0 ports, HDMI port and a Memory Stick/SD card slot. The Fujitsu LifeBook AH572 3D laptop packs a 6-cell lithium-ion battery as back-up life provider and is now available for sale with a price tag that starts at $999. Tags:-new Fujitsu LifeBook 3D notebook, Fujitsu LifeBook 3D notebook price, Fujitsu LifeBook 3D notebook features, Fujitsu LifeBook 3D notebook specs, Fujitsu LifeBook 3D notebook details, Fujitsu LifeBook 3D notebook launch, Fujitsu LifeBook 3D notebook release, Fujitsu LifeBook 3D notebook updates, LifeBook AH572 3D laptop price tag, price tag of Fujitsu LifeBook AH572 3D notebook. 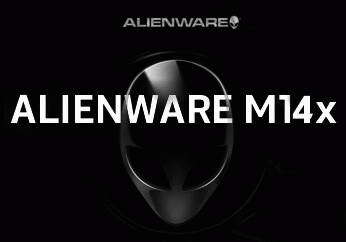 Dell on its way to introduce a new powerful laptop that belongs to the Alienware family, named Alienware M14x.The new Alienware M14x notebook is based on Intel’s Huron River platform ie the 2nd generation Core processor from Intel. The upcoming Alienware M14x notebook equips a 14-inch display with either 1366 x 768 pixel HD resolution or 1920 x 1080 pixel Full HD resolution.The Alienware M14x laptop will be powered with latest Intel processors and the options includes Intel Core i3-2310M to i7-2820QM range processors. According to the available information the Alienware M14x laptop will pack up to 4GB of DDR3 memory, and up to a 750GB hard drive (7200rpm) or a 256GB solid state drive (SSD).The back up power option is an 8-cell battery. 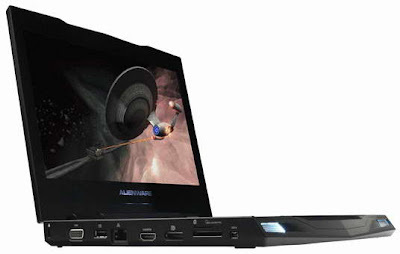 Tags:-Dell Alienware M14x notebook details, Dell Alienware M14x notebook updates, Dell Alienware M14x notebook price details, Dell Alienware M14x notebook specs, Dell Alienware M14x notebook features, Dell Alienware M14x notebook specifications. 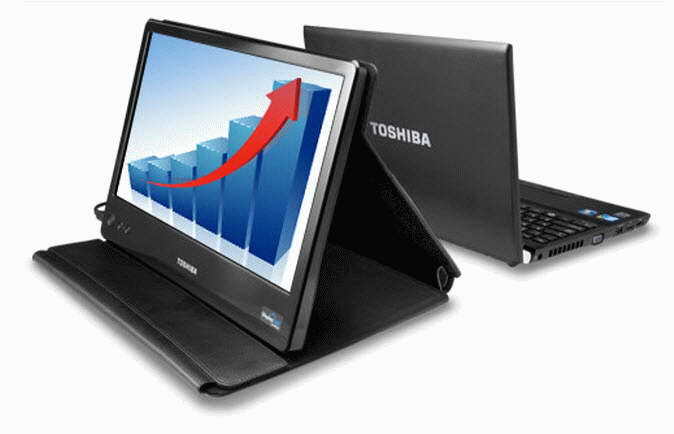 For all those who finding it too difficult to adjust with there tiny netbook screen, here comes the good news as Toshiba launched a new portable LCD monitor with a 14-inch screen size and with USB interface. 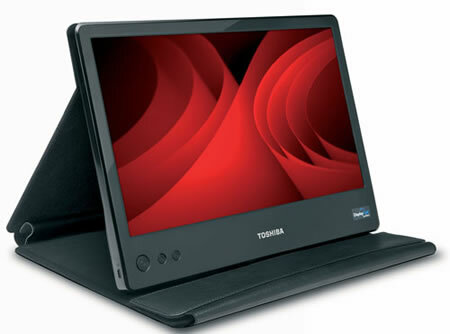 The new Toshiba portable monitor equips a 14-inch widescreen panel with 1366 x 768 pixel resolution and has 220 cd/m2 brightness with 400:1 contrast rate and a response time of 16ms.The USB LCD monitor is compatible with Windows 7, Windows Vista and Windows XP. New Toshiba 14-inch USB portable LCD monitor bundled with protective black vinyl carrying case.The LCD monitor can be powered as well as video display through the same USB port.The mobile LCD monitor weighs just 2.8 pounds and has a thickness of about 25mm. 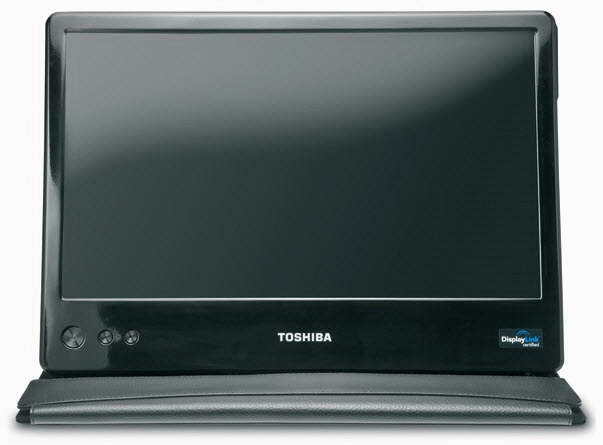 All new Toshiba 14-inch USB portable LCD monitor now available at Toshiba online shop for a price tag of $199.99. Tags:-USB portable LCD monitor, USB portable LCD monitor details, toshiba USB portable LCD monitor price, toshiba USB portable LCD monitor features, toshiba USB portable LCD monitor launch, toshiba USB portable LCD monitor availability, price tag of toshiba USB portable LCD monitor, toshiba USB portable LCD monitor specs. Lenovo recently introduced new ThinkPad series business laptop, named Lenovo ThinkPad Edge E420s.The new Lenovo ThinkPad Edge E420s laptop has a soft-touch matte finish with metal accents and is enclosed in magnesium-aluminum with reinforced metal hinges. New Lenovo ThinkPad Edge E420s business laptop equips a 14-inch Infinity edge-to-edge glass display with 1366 x 768 pixel resolution and is powered with 2nd Gen Intel Core i7 processor.The business ThinkPad Edge notebook houses an Intel HD integrated graphics card or an optional availability of 2GB AMD Radeon HD 6630M dedicated video card with switchable feature. All new Lenovo ThinkPad Edge E420s laptop supports up to 8GB of DDR3 memory and the storage options includes up to 320GB hard drive, 128GB storage state drive, or hybrid storage (80GB SSD and 320GB HDD).The new ThinkPad Edge business laptop includes trackpad, trackpoint, and an island-style spill resistant keyboard. Features of Lenovo ThinkPad Edge E420s Laptop includes low-light sensitive HD web camera, fingerprint sensor, stereo speaker with Dolby Home Theater surround sound technology, slot-load DVD burner, Wi-Fi b/g/n, Ethernet LAN, VGA output, two USB 2.0 ports, HDMI 1.4, an eSATA/USB 2.0 combo port and a 4-in-1 media card reader while Bluetooth, WiMAX, and 3G mobile broadband comes as optional availabilities. 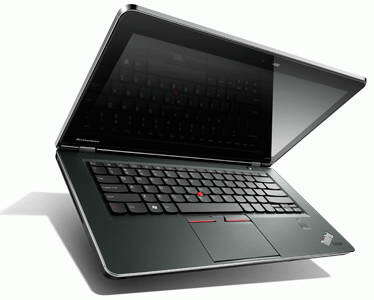 Lenovo ThinkPad Edge E420s laptop comes pre-loaded with Windows 7 OS and is available for a price tag that starts at $699. 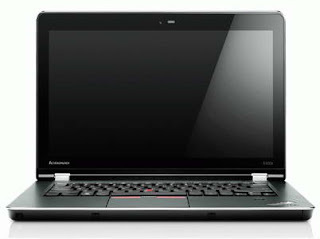 Tags:-Lenovo ThinkPad Edge E420s business laptop details, Lenovo ThinkPad Edge E420s business laptop features,Lenovo ThinkPad Edge E420s business laptop specs, Lenovo ThinkPad Edge E420s business laptop comfiguration, Lenovo ThinkPad Edge E420s business laptop price tag, Lenovo ThinkPad Edge E420s business laptop processor, Lenovo ThinkPad Edge E420s business laptop graphics card, Lenovo ThinkPad Edge E420s business laptop availability. Samsung on its way to introduced the low priced highly featured smartphone, named Samsung Star II S5260 in Indian market.The new Samsung Star II S5260 already available in some European countries and will be available soon in Indian market. 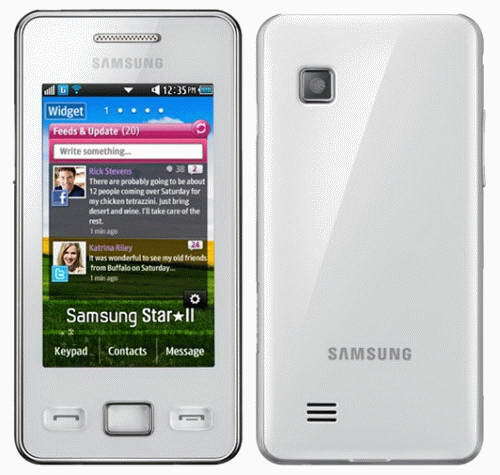 The new Samsung Star II S5260 Smartphone equips a 3-inch WQVGA touchscreen display and is provided with TouchWiz 3.0 UI along with social network integration like Facebook and Twitter widgets. 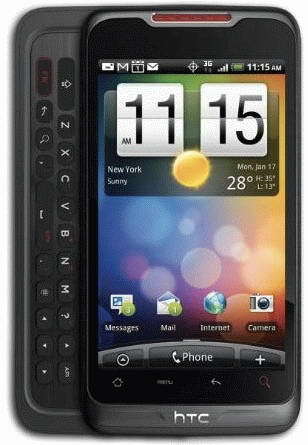 New Samsung Star II S5260 Smartphone Features 3MP camera, QuickType T9 Trace keyboard, stereo FM radio, Wi-Fi 802.11b/g/n, Bluetooth 3.0, document viewer, and a MicroSD card slot.The smartphone is powered with a 1000mAh battery. With all the exciting features the new Samsung Star II S5260 smartphone will be available soon in Indian market for a price tag of Rs. 6,540($147). 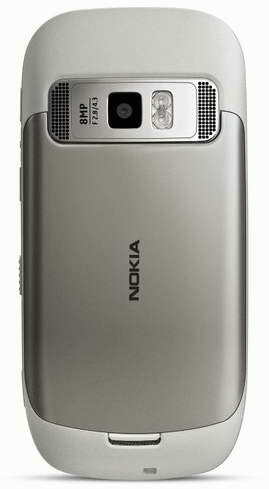 Tags:-Samsung Star II S5260 Smartphone details, Samsung Star II S5260 Smartphone india price, Samsung Star II S5260 Smartphone specs, Samsung Star II S5260 Smartphone india pricetag, price tag of Samsung Star II S5260 Smartphone in india, Samsung low priced Smartphone, samsung low priced Bluetooth 3.0 smartphone, samsung low priced wifi smartphone. Research In Motion (RIM) recently made the pre-order availability of its tablet, named BlackBerry PlayBook.According to BlackBerry the new PlayBook tablet will be available through over 20,000 retail stores in US and Canadian market. 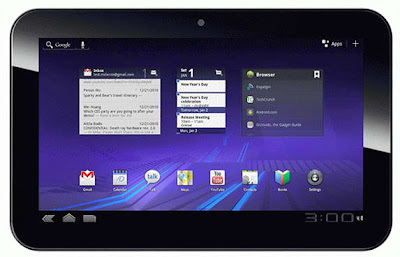 BestBuy started taking the pre-order of new PlayBook with capacities of 16GB, 32GB, and 64GB and comes with a price tag of $499, $599 and $699 respectively.The shipping of new BlackBerry PlayBook will commence on 19th April 2011. The all new BlackBerry PlayBook tablet comes equipped with a 7-inch capacitive touchscreen display with 1024 x 600 pixel resolution and is powered with 1GHz Texas Instruments dual-core processor.The PlayBook tablet houses 1GB RAM and runs on BlackBerry Tablet OS. 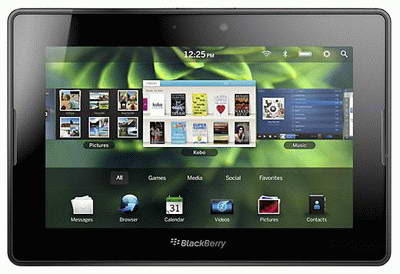 New BlackBerry PlayBook Features 5MP rear facing camera, 3MP front-facing camera, 6-Axis Motion Sensor (Gyroscope), Orientation Sensor (Accelerometer), Digital Compass (Magnetometer), stereo speakers, stereo microphones, Wi-Fi 802.11a/b/g/n, Bluetooth 2.1, GPS, MicroHDMI and MicroUSB ports.The tablet weighs 425g and its dimensions are 5.1 x 7.6 x 0.4 inches. Tags:-BlackBerry PlayBook price, BlackBerry PlayBook features, BlackBerry PlayBook variants, price of BlackBerry PlayBook, new BlackBerry PlayBook launch, BlackBerry PlayBook pre-order details, pre-order of BlackBerry PlayBook, BlackBerry PlayBook price tag, BlackBerry PlayBook specifications, BlackBerry PlayBook features, BlackBerry PlayBook specs, BlackBerry PlayBook release date, BlackBerry PlayBook availability, BlackBerry PlayBook configurations, BlackBerry PlayBook new updates, news about BlackBerry PlayBook. 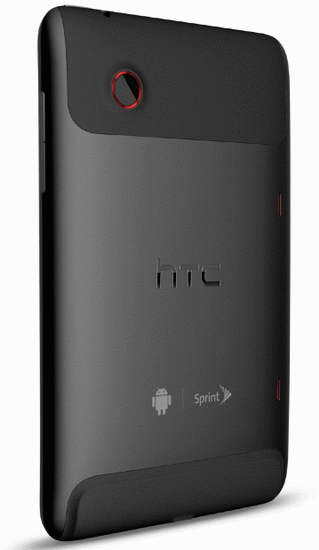 At the CTIA Wireless 2011, Sprint made the official announcement about their new HTC 3D smartphone, named HTC Evo 3D.The new HTC Evo 3D Smartphone supports for Sprint’s WiMAX network and runs on Google Android 2.3 Gingerbread OS. 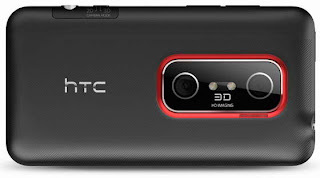 The new HTC Evo 3D smartphone equips a 4.3-inch qHD 3D display with 960 x 540 pixel resolution and is powered with 1.2GHz Qualcomm Snapdragon dual-core processor along with 1GB RAM module.The HTC Evo 3D handset is the first 4G smartphone in US to feature qHD ‘Glasses-Free’ 3D display. New HTC Evo 3D smartphone Features dual 5MP rear facing cameras for recording 3D videos and capturing images, 1.3MP front-facing camera for video calls, 4GB internal memory, 3G/4G Mobile Hotspot capability that could support simultaneously up to eight Wi-Fi enabled devices, GPS, Wi-Fi 802.11 b/g/n, stereo Bluetooth and microSD card slot(up to 32GB). All new Sprint HTC Evo 3D smartphone comes bundled with a 8GB memory card and the power house is a 1730 mAh Lithium-ion battery. 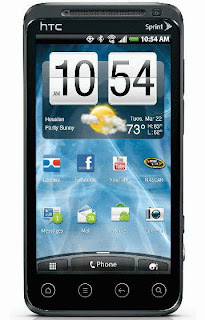 Available currently from Sprint for a price tag of $49.99 for 2-year contract and for $199.99 for no-term. Color options includes White, Purple and Black. 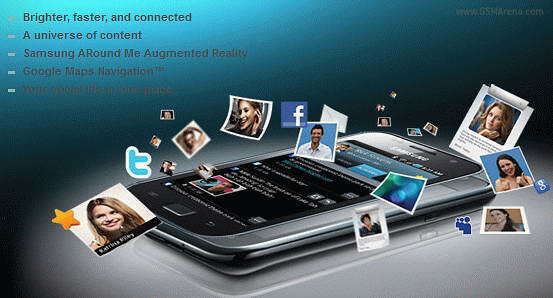 HTC Evo 3D is currently available in India for Rs. 35,990 (INR). 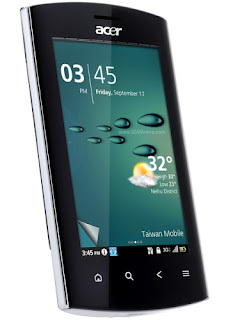 Tags:- htc evo 3d smartphone features, htc evo 3d smartphone specifications, htc evo 3d smartphone details, htc evo 3d smartphone cameras, htc evo 3d smartphone specs, htc evo 3d smartphone launch, htc evo 3d smartphone release, htc evo 3d smartphone details, htc evo 3d smartphone display, htc evo 3d smartphone updates, htc evo 3d smartphone images, htc evo 3d india availability, htc evo 3d india price, htc evo 3d color options. 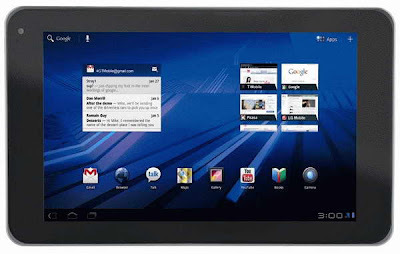 T-Mobile recently introduced the new LG tablet in Market, named LG G-Slate.The new LG G-Slate Tablet will be available from T-Mobile for a price tag of $529.99 with a 2-year agreement and after $100 mail-in rebate.The European version of the tablet will be named LG Optimus Pad and will be available soon for a price tag of €849 without contract. New T-Mobile LG G-Slate Tablet comes equipped with an 8.9-inch 3D-capable multitouch HD display and is powered with an Nvidia Tegra 2 SoC.The G-Slate Tablet runs on Google Android 3.0 Honeycomb OS. LG G-Slate Tablet Features rear-facing stereoscopic dual camera, 2 megapixel front-facing camera, 1080p 3D video recording, 32GB Internal memory, gyroscope, accelerometer, adaptive lighting sensor, Wi-Fi, GPS and an HDMI output. 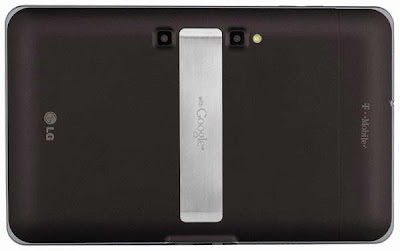 Tags:-T-Mobile LG G-Slate tablet price, T-Mobile LG G-Slate tablet price tag, T-Mobile LG G-Slate tablet details, T-Mobile LG G-Slate tablet launch, T-Mobile LG G-Slate tablet release, price details of T-Mobile LG G-Slate tablet, LG G-Slate tablet features, LG G-Slate tablet specifications, LG G-Slate tablet updates, LG Optimus Pad Tablet price, LG Optimus Pad price tag, LG Optimus Pad europe launch, LG Optimus Pad specs. Sprint in join hands with HTC mobiles at the ongoing CTIA Wireless 2011 introduce a new 4G tablet, named HTC Evo View 4G.The new HTC Evo View 4G Tablet supports Sprint’s WiMAX network. New HTC Evo View 4G tablet equips a 7-inch display with 1024 x 600 pixel resolution and has 1GB RAM moule.The HTC Tablet provides 3G/4G Mobile Hotspot capability that enables the HTC Evo View 4G tablet to support up to 8 Wi-Fi-ready devices simultaneously. All new Sprint HTC Evo View 4G tablet Features 5MP rear-facing camera, 1.3MP front-facing camera, 32GB internal memory, 802.11 b/g/n Wi-Fi, Bluetooth 3.0, GPS and a a MicroSD card slot that could support up to 32GB Card.The tablet's power house is a 4,000 mAh battery. 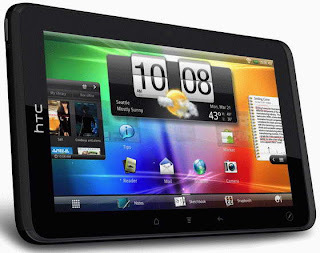 Reports also reveals that the new HTC Evo View 4G tablet will be available via Sprint by this summer and their is no word on the price tag. 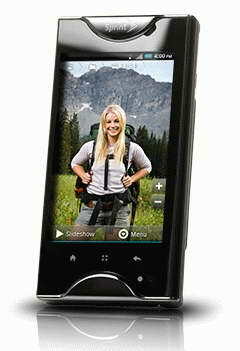 Tags:-HTC Evo View 4G tablet features, HTC Evo View 4G tablet specs, HTC Evo View 4G tablet camera, HTC Evo View 4G tablet details, HTC Evo View 4G tablet launch, HTC Evo View 4G tablet release, HTC Evo View 4G tablet updates, HTC Evo View 4G tablet configuration, HTC Evo View 4G tablet new updates, HTC Evo View 4G tablet price, Sprint HTC Evo View 4G tablet, Mobile Hotspot Tablet from HTC. Nokia recently made the official announcement about the details of their upcoming new Nokia C7 variant, named Nokia Astound.The new Nokia Astound Smartphone will be available from T-Mobile online and store from 6th April 2011 for a price tag of $79.99 with contract and along with a mail-in rebate of $50. The new Nokia Astound smartphone equips a 3.5-inch AMOLED capacitive touchscreen display with 640×360 pixel resolution and is powered with a dedicated GPU.Apart from the Nokia C7 smartphone the new Nokia Astound has a T-Mobile logo on the bottom part of its front panel. 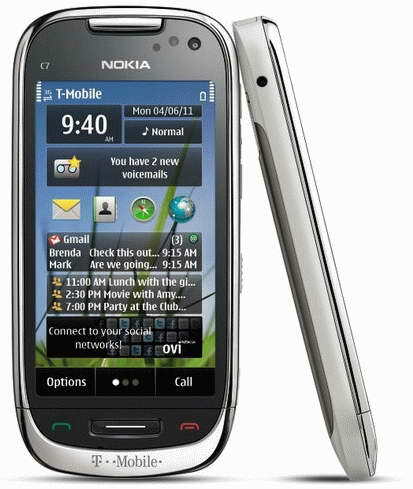 New T-Mobile Nokia Astound(C7) smartphone Features 8 megapixel full focus camera, 720p HD video recording, 8GB of internal memory, Wi-Fi, Bluetooth 3.0, GPS with Ovi Maps preinstalled and a microSD card slot.The T-Mobile Nokia C7 smartphone is designed to work in quad-band GSM and penta-band HSPA networks. Tags:-T-Mobile Nokia Astound Smartphone features, T-Mobile Nokia Astound Smartphone price, T-Mobile Nokia Astound Smartphone specs, T-Mobile Nokia Astound Smartphone details, T-Mobile Nokia C7 Smartphone price details, price of T-Mobile Nokia C7 Smartphone, T-Mobile Nokia C7 Smartphone specs. 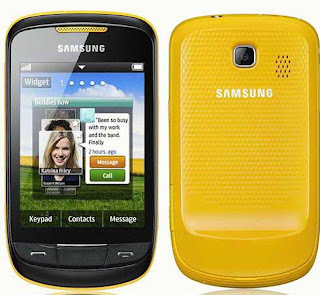 Samsung just recently introduced its all new touchscreen smartphone in India, named Samsung Galaxy SL (Samsung Galaxy S LCD GT-I9003).The new Samsung Galaxy SL GT-I9003 smartphone now available in Indian markets for a price tag of Rs.19,000 (about $420). The new Samsung Galaxy SL Smartphone equips a 4-inch super clear LCD touchscreen display and is powered with a 1GHz processor.The Galaxy SL Smartphone runs on Google Android 2.2 Froyo OS and has a reduced internal memory of 4GB compared to other Galaxy models. New Samsung Galaxy S LCD GT-I9003 Smartphone Features 5 megapixel autofocus camera with face, smile and blink detection, 720p HD video recording (30fps), Wi-Fi 802.11 b/g/n, 5.76 Mbps HSUPA, and 7.2 Mbps HSDPA, stereo Bluetooth 3.0, accelerometer, proximity sensor, 3.5mm audio jack, Micro USB port and a microSD card slot (up to 32GB). Tags:-Samsung Galaxy SL Smartphone india launch, Samsung Galaxy SL Smartphone india price, Samsung Galaxy SL Smartphone india features, Samsung Galaxy SL Smartphone specifications, Samsung Galaxy S LCD GT-I9003 Smartphone price in india, Samsung Galaxy S LCD GT-I9003 Smartphone india details, Samsung Galaxy S LCD GT-I9003 Smartphone images, price of Samsung Galaxy S LCD GT-I9003 Smartphone in india. 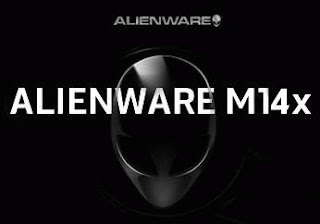 Dell recently introduced a new gaming laptop, named Alienware M11x R3.The new Alienware M11x R3 gaming laptop comes enclosed in a metal finish chassis with sharp edges and glossy screen.According to the source the Alienware M11x R3 will be available early next month ie by April 2011. New Alienware M11x R3 gaming laptop equips a 11.6-inch TrueLife glossy White-LED (WLED) backlight display with 1366×768 pixel resolution and is powered by a processor that could be chosen from 1.4GHz Intel Core i5-2537M (up to 2.3GHz), a 1.5GHz Intel Core i7-2617M (to 2.6GHz) or a 1.6GHz Intel Core i7-2657M (up to 2.7GHz) processors.The M11x R3 laptops will be available with 1GB/2GB/4GB/8GB DDR3 RAM options and the storage options are 250GB/320GB/500GB/640GB/750GB hard drive (SATA 2, 7200rpm0 or 256GB SSD. All new Alienware M11x R3 gaming laptop will be available in three color(shade) options:Red, Black, and Soft Touch.The gaming laptop will features optional WWAN and 3G LTE / 4G WiMAX modem along with 63WHr 8-cell battery. Tags:-Alienware M11x R3 gaming laptop, Alienware M11x R3 gaming laptop details, Alienware M11x R3 gaming laptop features, Alienware M11x R3 gaming laptop specs, Alienware M11x R3 gaming laptop launch, Alienware M11x R3 gaming laptop release, Alienware M11x R3 gaming laptop details. Toshiba recently listed their all new second-gen Tegra 2 tablet at the Amazon online store with no release date or price details.The new stylish Toshiba second-gen Tegra 2 tablet has a non-slip Easy Grip interchangeable backplate.The Toshiba new tablet is expected to made available by mid 2011. The new Toshiba second-gen Tegra 2 tablet equips a 10.1-inch multi-touch widescreen display with 1280 x 800 pixel resolution along with Adaptive Display Technology and is powered with Nvidia Tegra 2 processor.The new 10-inch Toshiba tablet comes in a 32GB flash storage memory area. 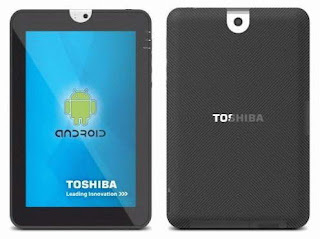 New Toshiba second-gen Tegra 2 10-inch tablet Features 5MP rear-facing camera, 2MP front-facing camera for video calls, 720p HD video recording, accelerometer, gyroscope, light sensor, digital compass, Wi-Fi, GPS, Bluetooth, full-size USB and Mini USB connector, HDMI output and a SD memory card slot. 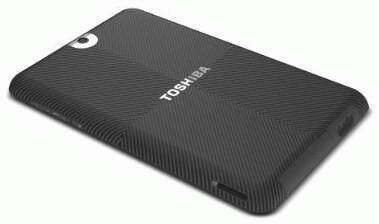 Tags:-Toshiba second-gen Tegra 2 tablet details, Toshiba second-gen Tegra 2 tablet features, Toshiba second-gen Tegra 2 tablet specs, new 10-inch Toshiba tablet details, upcoming 10-inch Toshiba tablet based on Tegra 2, upcoming Toshiba second-generation tablet, Toshiba new Tegra 2 tablet, Toshiba second-gen Tegra 2 tablet images, new 10-inch Toshiba tablet pics. Acer recently introduced its all new smartphone, named Acer Liquid Metal in Indian markets.The new Acer Liquid Metal Smartphone now available in India for a price tag of Rs. 20,500. New Acer Liquid Metal Smartphone equips a 3.6-inch touchscreen display with a resolution of 480 x 800 pixels and is powered with Snapdragon MSM7230 SoC with an 800MHz Scorpion CPU and Adreno 205 GPU.The Liquid Metal Smartphone also houses 512MB RAM, 512MB ROM and runs on Google Android 2.2 Froyo OS with Acer Breeze 4.0 UI. Acer Liquid Metal Smartphone Features 5 megapixel camera with auto-focus and LED flash, 720p HD video recording, Dolby Surround technology, Wi-Fi 802.11 b/g/n, Bluetooth v3.0 with A2DP, HSPA with a data transfer speed of 14.4 MBPS, 3G, Wi-Fi, GPS, Mini USB port and a microSD card slot that support up to 32GB Card(bundled with 8GB card). Tags:-Acer Liquid Metal Smartphone india price, Acer Liquid Metal Smartphone price in india, india price of Acer Liquid Metal Smartphone, Acer Liquid Metal Smartphone india launch, Acer Liquid Metal Smartphone india release, Acer Liquid Metal Smartphone india specifications, Acer Liquid Metal Smartphone launch in india, Acer Liquid Metal Smartphone indian price tag, Acer Liquid Metal Smartphone features. Motorola now on its way to introduce its all new smartphone thats belongs to the Droid line-up, named Motorola Droid 3.The new Motorola Droid 3 Smartphone is designed in side slider form factor with a slide-out 5-row QWERTY keyboard where as its predecessors packs only a 4-row QWERTY keyboard. 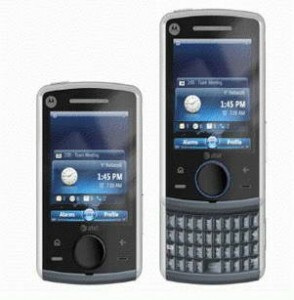 The new upcoming Motorola Droid 3 Smartphone will be packed with a high quality 4-inch qHD touchscreen display with 540 x 960 pixel resolution which is a biggger display compared to Droid 2's 3.7-inch display.According to the available information Droid 3 Smartphone equips an HDMI and MicroUSB port. 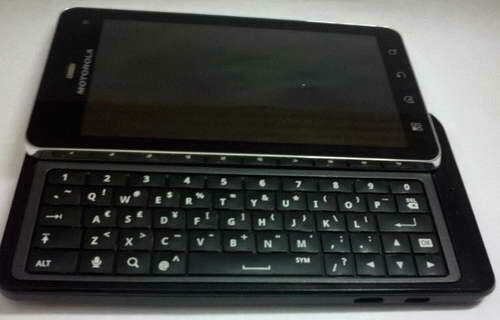 Other details including complete specifications, launch and price are not revealed yet. 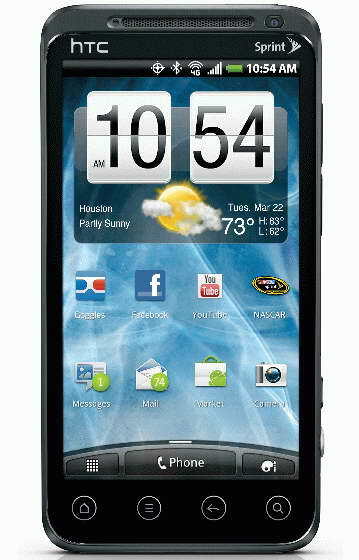 Tags:-Motorola Droid 3 Smartphone specs, Motorola Droid 3 Smartphone features, Motorola Droid 3 Smartphone images, Motorola Droid 3 Smartphone launch, Motorola Droid 3 Smartphone release, Motorola Droid 3 Smartphone details. LG Electronics recently introduced a new touch-screen mobile phone, named LG T315i in Russian market.The new LG T315i handset has a monoblock form factor with simple design and low cost. The new LG T315i mobile phone equips a 2.8-inch touchscreen display with 240 x 320 pixel resolution and comes integrated with easy access to popular social networks.The LG T315i touch-screen handset also has handwriting recognition capability and Opera Mini browser. 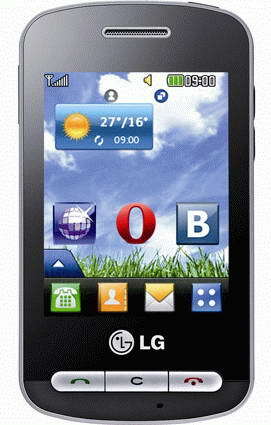 New LG T315i mobile phone Features 2-megapixel camera, Bluetooth 2.1, 802.11 b/g Wi-Fi, 20MB of internal memory, FM radio with built-in antenna, virtual QWERTY keyboard and a MicroSD card slot that support up to 4GB card. The all new LG T315i phone designed to work in GSM cellular networks and its battery provides about 8 hours of talk time life and almost 500 hours life in standby mode.LG T315i mobile phone weighs 88 grams and its dimensions are 103 x 57 x 11.9 mm. With lot of features and Specification the new LG T315i handset will be available in Russian market for a low price tag of 4,400 rubles. Tags:-LG T315i Touchscreen Phone details, LG T315i Touchscreen Phone price, LG T315i Touchscreen Phone specs, LG T315i Touchscreen Phone price tag, LG T315i Touchscreen Phone features, new LG Touchscreen Phone, low priced LG Touchscreen Phone, low priced LG Touchscreen Phone with wifi, low price LG handset with wifi. 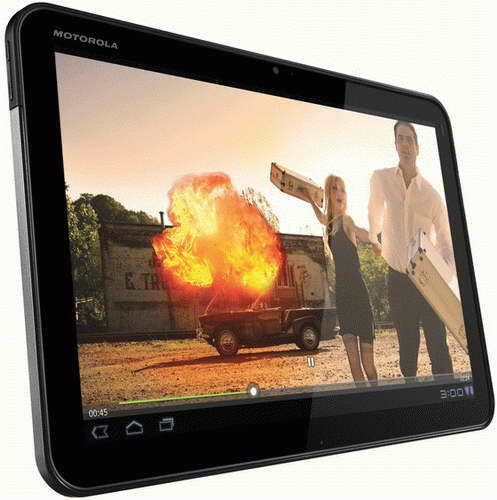 Motorola recently made official announcement that their Wi-Fi only version of Motorola Xoom tablet will be available in US market form 27th march 2011 onwards.The new Motorola Xoom Wi-Fi only Tablet will be available for a price tag of $599 via Amazon, BestBuy, RadioShack, Walmart, Staples, Costco, and Sam’s Club. New Motorola Xoom Tablet with Wi-Fi only has similar specification to the already available Wi-Fi + 3G version.The specification of Wi-Fi only Motorola Xoom Tablets are, the tablet packs a 10.1-inch touchscreen display with 1280 x 800 pixel resolution and is powered with 1GHz Tegra 2 SoC CPU along with 1GB RAM and 32GB of flash storage. 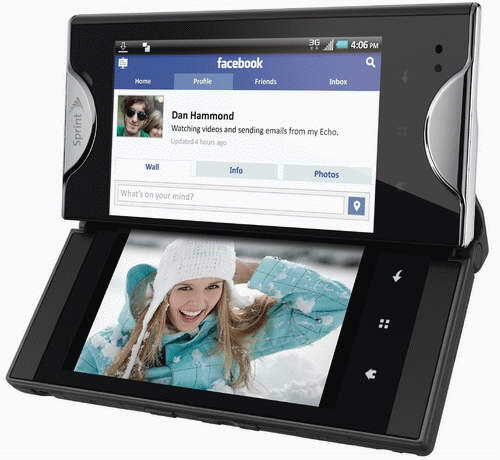 Wi-Fi only Motorola Xoom Tablet Features 5 megapixel rear-facing camera, 2 megapixel front-facing camera for video calls, 720p HD video recording, a gyroscope, an ambient light sensor, an accelerometer, and Bluetooth 2.1.The tablet runs on Google Android 3.0 honeycomb Tablet. 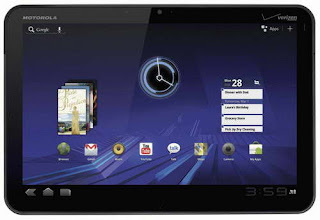 The Wi-Fi + 3G version of Motorola Xoom Tablet is already available in US market via Verizon which is priced $799, which $200 more compared to the new launching Wi-Fi only Xoom Tablet. Tags:-Motorola Xoom Wi-Fi only Tablet details, Motorola Xoom Wi-Fi only Tablet price, Motorola Xoom Wi-Fi only Tablet price tag, price of Motorola Xoom Wi-Fi only Tablet, details of Motorola Xoom Wi-Fi only Tablet, Motorola Xoom Wi-Fi only Tablet launch date, Motorola Xoom Wi-Fi only Tablet US launch details, Motorola Xoom Wi-Fi only Tablet in US price, Motorola Xoom Wi-Fi only Tablet us release, Motorola Xoom Wi-Fi only Tablet US availability. HTC recently made the pre-order availability of its all new smartphone, named HTC Merge in Indian market.The new HTC Merge Smartphone can be now pre-ordered at the online retailer Letsbuy for a price tag of Rs 36,000(about $800). The new HTC Merge Smartphone comes equipped with a 3.8-inch display with 480 x 800 pixel (WVGA) resolution and Features 5 megapixel camera autofocus with LED flash, 720p HD video recording capability and a lot more..
HTC Merge Smartphone runs on Google Android 2.2 Froyo with HTC’s Sense UI along with a stylish sliding QWERTY keyboard.The smartphone also supports both GSM and CDMA connectivity. Tags:-HTC Merge Smartphone india price, HTC Merge Smartphone price in india, india price of HTC Merge Smartphone, HTC Merge Smartphone details, HTC Merge Smartphone india pre-order details, HTC Merge Smartphone pre-order price, HTC Merge Smartphone specs, HTC Merge Smartphone details, HTC Merge Smartphone india release, HTC Merge Smartphone launch in india, HTC Merge Smartphone india details. 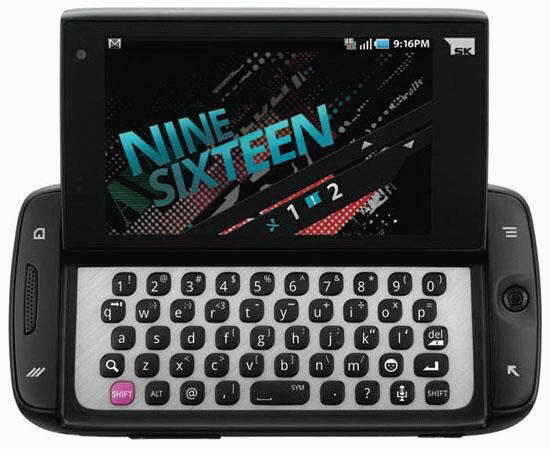 Samsung in join hands with T-Mobile recently made official its all new Android smartphone, named Samsung Sidekick 4G.The new Samsung Sidekick 4G smartphone provides HSPA+ ie it provides a data transfer speed of about 21 Mbps. 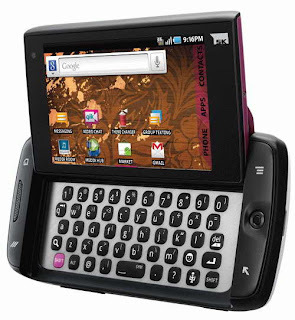 New T-Mobile Samsung Sidekick 4G Smartphone equips a sliding 3.5-inch touchscreen display under which the five-row QWERTY keyboard is held.The display screen can be slide out via a pop-tilt hinge while texting messages and surfing on internet.The Samsung Sidekick 4G Smartphone is powered with a 1GHz Hummingbird processor and runs on Google Android 2.2 Froyo OS. 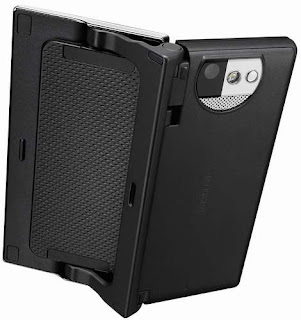 Samsung Sidekick 4G Smartphone Features 3MP rear-end camera, 0.3MP front-facing camera and a lot of pre-loaded applications including social network integrations like YouTube, Facebook, Twitter etc.. The new Samsung Sidekick 4G smartphone will hit US market via T-Mobile later part of this spring. More detailed specification and price details will be revealed later. Tags:-T-Mobile Samsung Sidekick 4G Smartphone details, T-Mobile Samsung Sidekick 4G Smartphone release, T-Mobile Samsung Sidekick 4G Smartphone specs, T-Mobile Samsung Sidekick 4G Smartphone, T-Mobile Samsung Sidekick 4G Smartphone updates. Kyocera in join hands with Sprint recently announced the world's first dual-touchscreen phone, named Kyocera Echo.The new Kyocera Echo Smartphone will be available for pre-order at sprint’s website from 26th march and is available for sale from 17th April onwards for a price tag of $199.99 along with a new 2-year service agreement. 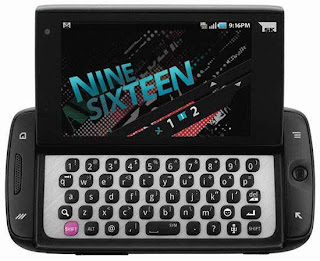 New Kyocera Echo Smartphone comes equipped with a Dual 3.5-inch LCD WVGA (800 x 480 pixels) capacitive touchscreens and is powered with a 1 GHz Snapdragon processor along with 512 MB of RAM.The new Sprint Kyocera Echo handset runs on Google Android 2.2 OS. 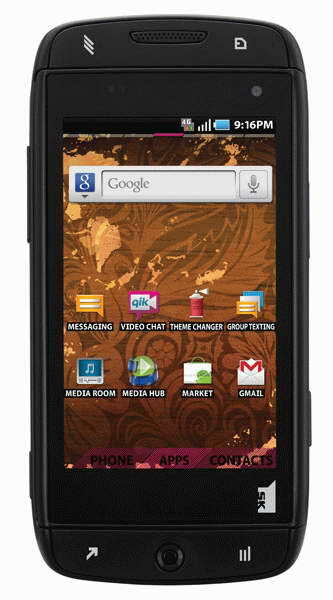 Sprint Kyocera Echo Smartphone Features Wi-Fi hotspot capability (with support up to 5 Wi-Fi enabled devices), 5-megapixel autofocus camera with flash and 2x digital zoom, 720p HD video recording, 1GB internal memory, Wi-Fi 802.11 b/g, stereo Bluetooth 2.1 + EDR, GPS, Digital compass, accelerometer, proximity sensor, light sensor, microSD card slot that support up to 32GB card(8GB card included) and Sprint’s 3G services. 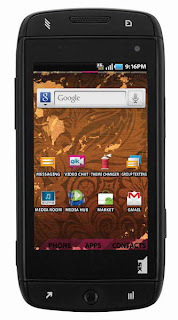 The new Sprint Kyocera Echo Smartphone comes included with a special application that lets the user to watch YouTube video's in one screen along with browsing and buffering additional YouTube videos on the other display.The Echo Smartphone also includes a Full HTML Web browser with Google search facility and have access to more than 100,000 apps. All new Sprint Kyocera Echo Smartphone comes with Removable 1370mAh battery along with a spare battery of same kind that double the battery life. Tags:-Sprint Kyocera Echo Smartphone price, Sprint Kyocera Echo Smartphone launch, Sprint Kyocera Echo Smartphone release, Sprint Kyocera Echo Smartphone specs, Sprint Kyocera Echo Smartphone details, Sprint Kyocera Echo Smartphone availability, Sprint Kyocera Echo Smartphone pre-order, Sprint Kyocera Echo Smartphone specifications, Sprint Kyocera Echo Smartphone launch, Sprint Kyocera Echo Smartphone camera, Sprint Kyocera Echo Smartphone memory, Sprint Kyocera Echo Smartphone processor, Sprint Kyocera Echo Smartphone detailed review. Hewlett-Packard(HP) recently added a new budget-class consumer notebook to its laptop line up, named HP Pavilion g6t.The new HP Pavilion g6t when comparing its features and specifications is actually a low priced laptop with a price tag that starts at $519.99. The new HP Pavilion g6t Laptop equips a 15.6-inch LED-backlight display with 1366×768 pixel resolution and is powered with one among three processor choices which includes Intel Core i3-380M, i3-390M, or i5-480M dual-core processor.The Pavilion g6t laptop houses Intel HD integrated or Radeon HD 6470M 512MB/1GB dedicated graphics card with a support capability of up to 6GB of DDR3 RAM and up to 750GB HDD. New HP Pavilion g6t low priced budget Laptop comes pre-loaded with Windows 7 Home Premium OS and Features DVD burner or Blu-ray combo drive, webcam with microphone, a Chiclet-style keyboard, Altec Lansing speakers, a multi-in-one media card reader, 802.11n Wi-Fi, Ethernet LAN, HDMI and VGA video outputs, three USB 2.0 ports, and optional Bluetooth. 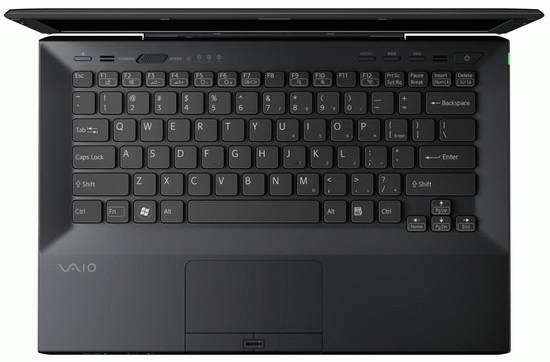 The 6-cell battery of HP Pavilion g6t laptop provides about 4.25 hours battery back-up life.The laptop weighs 5.5 pounds and its dimensions are 14.72 x 9.65 x 1.20 / 1.43 inches. 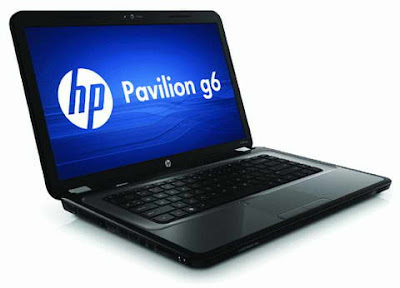 Tags:-HP Pavilion g6t Laptop price, HP Pavilion g6t Laptop features, HP Pavilion g6t Laptop specs, HP Pavilion g6t Laptop details, HP Pavilion g6t Laptop low price, HP low price laptops, new HP low price notebooks, HP budget notebooks, HP Pavilion budget Laptop specs, HP Pavilion low price Laptop details. Asus recently added a new series of multimedia laptops, named Asus K73.The new Asus K73 mutimedia notebook has a stylish aluminum-textured finish chassis ans is based on Intel's second Generation Sandy Bridge processors. New Asus K73 Series Notebook includes two versions : Asus K73SV and Asus K73E. Both Asus K73 Series Multimedia Notebook equips a 17.3-inch LED backlight display with 1600×900 pixel resolution and features Chiclet-style keyboard and IceCool Technology. IceCool Technology helps to keep the palm rests cooled always. 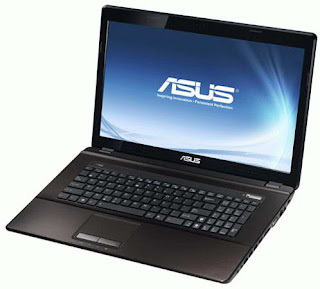 The main difference of the two Asus K73 Series Multimedia laptops is based on the graphics card the laptop houses.Asus K73SV laptop comes with an Nvidia GeForce GT 540M graphics card with 1GB/2GB of dedicated memory where as the Asus K73E notebook sports Intel GMA HD integrated graphics card. All new Asus K73 Series Notebooks Features a 0.3MP web camera, Wi-Fi, Gigabit Ethernet LAN, four USB 2.0 ports, SD/MS/MMC media card reader, HDMI and VGA outputs and Bluetooth comes as optional availability.The laptop weighs 3.20 kg along with its 6-cell battery and has a dimension of 42 x 28 x 3.68 cm (WxDxH). Tags:-Asus K73 Series Multimedia Notebook features, Asus K73 Series Multimedia Notebook specs, Asus K73 Series Multimedia Notebook details, Asus K73 Series Multimedia Notebook, Asus K73 Series Multimedia Notebook specifications, Asus K73 Series Multimedia Notebook launch, Asus K73 Series Multimedia Notebook release. 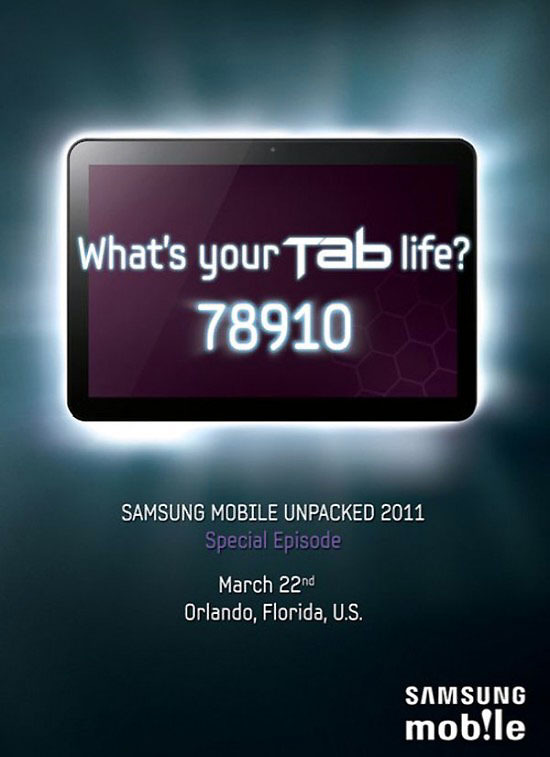 Samsung on this way to introduce its third tablet that belongs to the Galaxy Tab family.The new Tablet will be released at the upcoming CTIA Wireless 2011 event on March 22 in Florida, US.The new Galaxy Tab is a 8.9 inch Tablet that stands between the already available 7-inch and the 10.1 inch Tablet. The new Samsung 8.9-inch Tablet will be boasted with new Exyonos family of Mobile processors and runs on Google Android 3.0 Honeycomb OS.It will bring all the features that we saw in the 10.1 inch Tablet that launched recently. Tags:-Samsung 8.9-inch Galaxy Tab details, Samsung 8.9-inch Galaxy Tab updates, Samsung 8.9-inch Galaxy Tab os, Samsung 8.9-inch Galaxy Tab release, Samsung 8.9-inch Galaxy Tab launch date, Samsung 8.9-inch Galaxy Tab specs, Samsung 8.9-inch Galaxy Tab Features. Australian manufacturer, Pioneer Computers recently made the availability of a new powerful tablet, named DreamBook ePad H10 HD.The new DreamBook ePad H10 HD Tablet is based on nVidia Tegra 2 platform and runs on Google Android 3.0 Honeycomb OS. New DreamBook ePad H10 HD Tablet equips a 10.1-inch multitouch display with 1280 x 800 pixel resoultion along with up to 10-touch control and is powered with 1GHz ARM dual core processor.The H10 HD Tablet packs a 1GB RAM module and 16GB/32GB/64GB flash storage option. All new DreamBook ePad H10 HD Honeycomb tablet Features 5MP rear end camera, 2MP front facing camera, an accelerometer, digital compass, light sensor, Wi-Fi, Bluetooth, MicroHDMI port, MicroUSB ports, MicroSD card slot where as 3G and GPS module are optional availabilities. The batery of the tablet provides about 8 hours of life.The DreamBook ePad H10 HD Tablet weighs 760 grams and its dimensions are 264 x 176 x 12.2 mm. Pioneer Computers DreamBook ePad H10 HD Honeycomb tablet comes with a price tag of $700. Tags:-DreamBook ePad H10 HD Honeycomb tablet price, DreamBook ePad H10 HD Honeycomb tablet configurations, DreamBook ePad H10 HD Honeycomb tablet specs, DreamBook ePad H10 HD Honeycomb tablet features, DreamBook ePad H10 HD Honeycomb tablet details, DreamBook ePad H10 HD Honeycomb tablet camera details, DreamBook ePad H10 HD Honeycomb tablet release, DreamBook ePad H10 HD Honeycomb tablet price tag, price of DreamBook ePad H10 HD Honeycomb tablet, price details of DreamBook ePad H10 HD tablet. Motorola recently brought to sales its all new Android based smartphone, named Motorola Heron in Indian market.The new Motorola Heron smartphone comes in stylish slider form factor with two shade(color) options:grey and black. All new Motorola Heron smartphone equips a 2.8-inch resistive touchscreen TFT display with 240 x 320 pixel (QVGA) resolution and has 128MB RAM and 256MB ROM modules.Motorola Heron smartphone is designed to work in GSM 850/900/1800/1900 MHz and UMTS 850/1900 Mhz cellular network. New Motorola Heron smartphone Features 3MP camera with LED flash, 3G, Bluetooth v2.1 + EDR and A2DP, 2.5mm audio jack and a MicroSD card slot.The battery of handset provides about 6.7 hours of talk time life and a standby life of about 220 hours.Motorola Heron phone has a dimension of 104 x 57.5 x 4.41 mm. Tags:-Motorola Heron Android Phone india details, Motorola Heron Android Phone india launch, Motorola Heron Android Phone specs, india Motorola Heron Android Phone features, Motorola Heron Android Phone network support, Motorola Heron Android Phone configurations, Motorola Heron Android Phone india release, Motorola Heron Android Phone india availability. 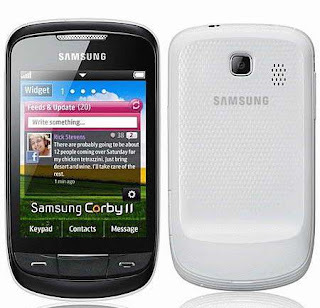 Samsung recently announced a new mobile phone that belongs to the Corby line-up, named Samsung Corby II GT-S3850.The new Samsung Corby II GT-S3850 smartphone like the Corby series handsets comes available in colors(shades) of White, Pink, and Yellow. The new Samsung Corby II GT-S3850 mobile phone equips a 3.14-inch touchscreen display with TouchWiz UI and is housed with Social Hub, email client, Microsoft Exchange support, and T9 QuickType keyboard integrated. 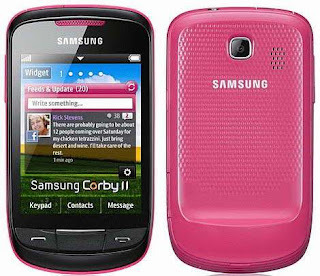 Features of Samsung Corby II handset includes 2MP camera, Bluetooth 3.0, Wi-Fi 802.11b/g/n, FM Radio, 3.5mm headphone jack and a microSD card slot that could support up to 16GB card.The 1000mAh battery of new Samsung Corby II GT-S3850 phone provides about 9.5 hours talk time life. All new Samsung Corby II handset first hits German market by the end of this month ie march 2011 and later in markets of Europe, Latin America, Asia ( India, China, Middle East) and Africa. Tags:-Samsung Corby II smartphone price, new Samsung Corby II smartphone features, Samsung Corby II smartphone specs, Samsung Corby II smartphone launch, Samsung Corby II smartphone release, Samsung Corby II smartphone camera, Samsung Corby II smartphone pics, Samsung Corby II smartphone specs, Samsung Corby II smartphone details, new Samsung Corby II GT-S3850 updates. 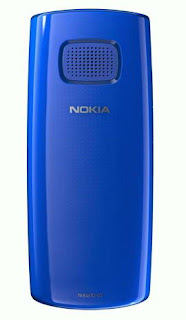 Nokia recently introduced a much low priced music phone, named Nokia X1-00.The new Nokia X1-00 mobile phone will be available in selected markets by April 2011 for a price tag of $47(€34). 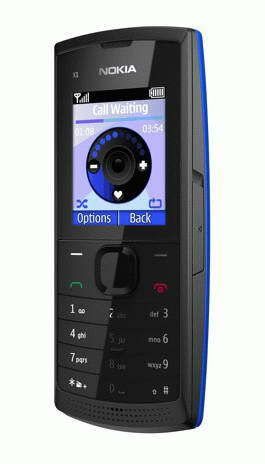 The new Nokia X1 music phone houses two high quality huge speakers at the back side rated at 106 phon which even rattle window frames.Even at high volumes the handset produce quality, un-distort sounds than other low priced phones. Nokia X1-00 mobile phone runs on Series 30 OS and Features dedicated music keys, music player, FM radio, GSM/ EDGE connectivity, 3.5mm headset jack, flashlight and a MicroSD card slot that could support up to 16GB card. The 1320 mAh battery of new Nokia X1 music phone provides almost 61 days of standby life.The mobile phone weighs 91g and its dimensions are 112.2 x 47.3 x 16 mm. 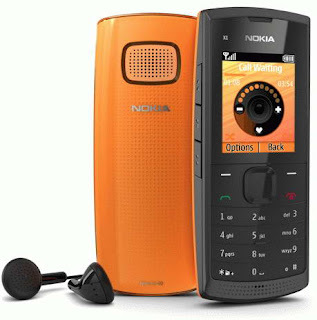 Tags:-low price nokia mobile, low price nokia music phone, low priced nokia handset, Nokia X1 music phone price, Nokia X1 music phone details, Nokia X1 music phone features, Nokia X1 music phone price tag, Nokia X1 music phone launch, Nokia X1 music phone release, Nokia X1 music phone details, Nokia X1 music phone images, low priced Nokia X1 music phone details. Sony recently made the pre-order availability of its all new Sandy Bridge based laptop, named Sony Vaio S.The new Sony Huron River-powered Vaio S notebook now available for pre-order in US markets for a price tag that starts at $970. The new Sony Vaio S 2011 edition laptop equips a 13.3-inch display with 1366 x 768 pixel resolution and is powered with Intel's second-generation Core i5/i7 processor.The laptop also houses Radeon HD 6630M graphics with 1GB of dedicated memory and supports up to 8GB RAM along with one HDD and one SSD for storage data. 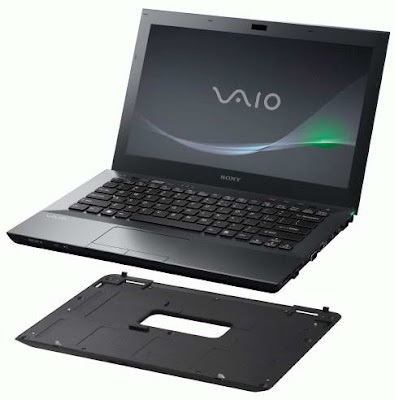 New Sony Vaio S Laptop Features includes MOTION EYE HD webcam, a DVD or Blu-ray drive, Bluetooth 2.1, Wi-Fi 802.11 b/g/n, Ethernet LAN, two USB 3.0 ports and 3G comes as optional availability.The laptop battery provides almost 7 hours of back-up life, while the back-up life can be increased to 15 hours with the optional ‘slice’ battery costs an aditional $150. 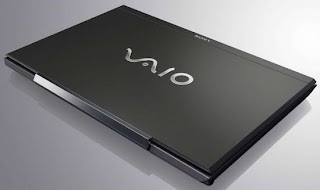 Tags:-2011 Sony Vaio S Laptop price, Sony Vaio S 2011 edition laptop features, Sony Vaio S Sandy Bridge powered laptop specifications, Sony Huron River-powered Laptop details, sony vaio Sandy Bridge powered laptop specs. At the CeBIT 2011 Asus Also made the introduction of its hybrid tablet, named Asus Eee Pad Transformer. 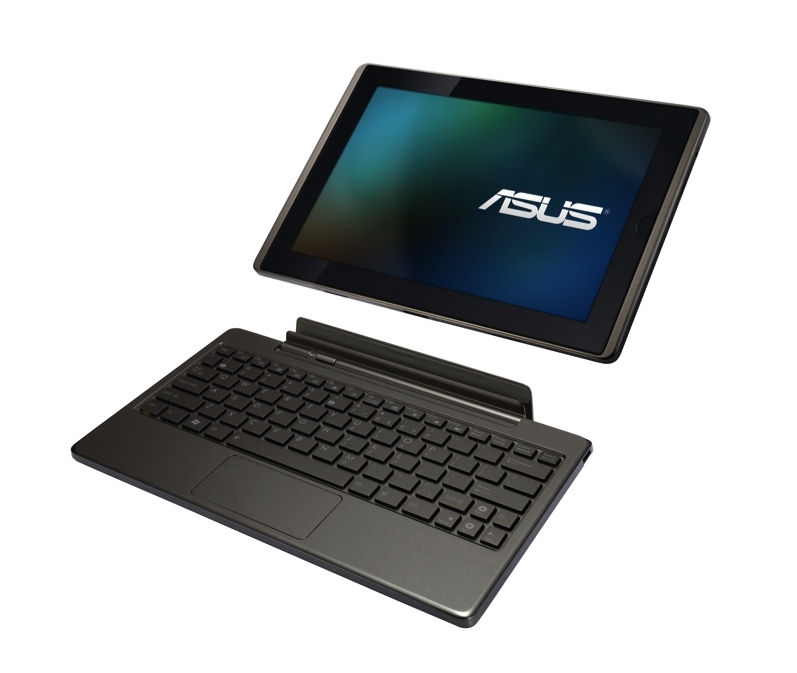 The new Asus Eee Pad Transformer Tablet runs on Google Android 3.0 HoneyComb OS. 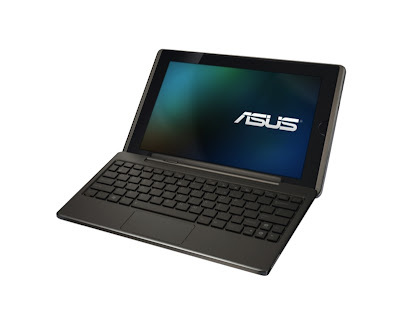 All new Asus Eee Pad Transformer equips a 10.1-inch capacitive touchscreen display with 1280 x 800 pixel(WSVGA) resolution and is based on nVidia Tegra 2 SoC similar to Motorola XOOM tablet along with 512MB/1GB RAM and comes in 16GB/32GB/64GB of flash storage. New Asus Eee Pad Transformer Hybrid Tablet Features 5MP rear end camera, 1.2MP front facing camera for video calls,Bluetooth, Wi-Fi, MicroSD card slot, stereo speakers, USB 2.0 port, HDMI connector while the optional availability includes a docking station with a QWERTY keyboard and higher extended battery life which is about 16 hours.Asus Eee Pad Transformer Tablet weighs 680 grams and has a thickness of just 12.9 mm. 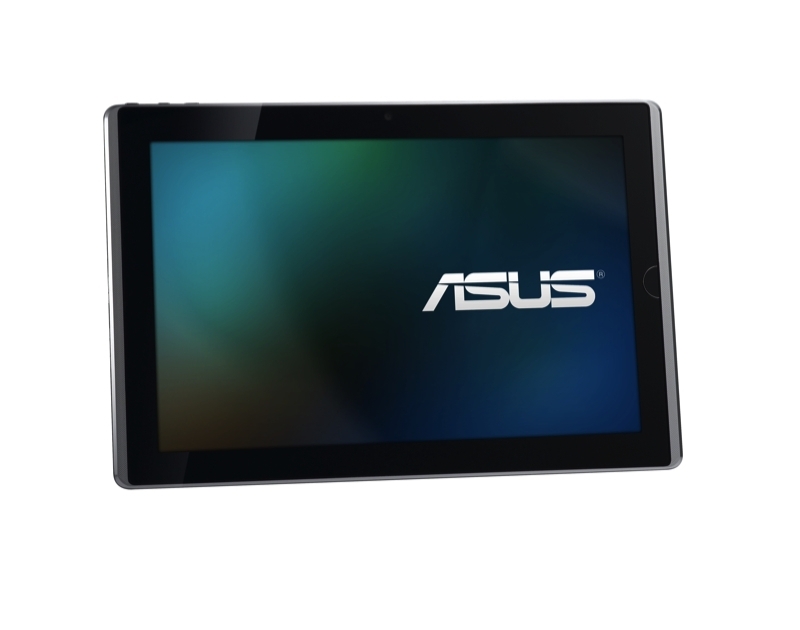 According to Asus the new Eee Pad Transformer tablet will be available for sale by April 2011 where as the Asus Eee Pad Transformer tablet with 16GB and Wi-Fi only version price at €400.For getting a 64GB storage with Wi-Fi and 3G module you need to pay a price tag of €700. Tags:-ASUS Eee Pad Transformer launch, ASUS Eee Pad Transformer tablet features, ASUS Eee Pad Transformer hybrid tablet price tag, ASUS Eee Pad Transformer hybrid tablet specs, ASUS Eee Pad Transformer hybrid tablet features, ASUS Eee Pad Transformer hybrid tablet release, ASUS Eee Pad Transformer tablet price details, ASUS Eee Pad Transformer versions, ASUS Eee Pad Transformer hybrid tablet configuration.